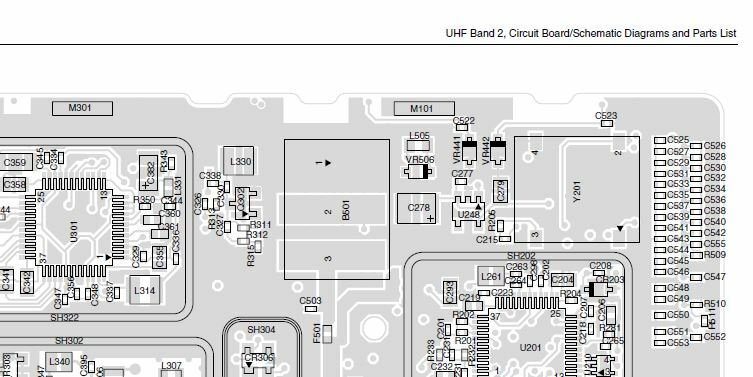 Thanks to a kind contributor, Mike, about 230 Motorola manuals have found there way into to archive. 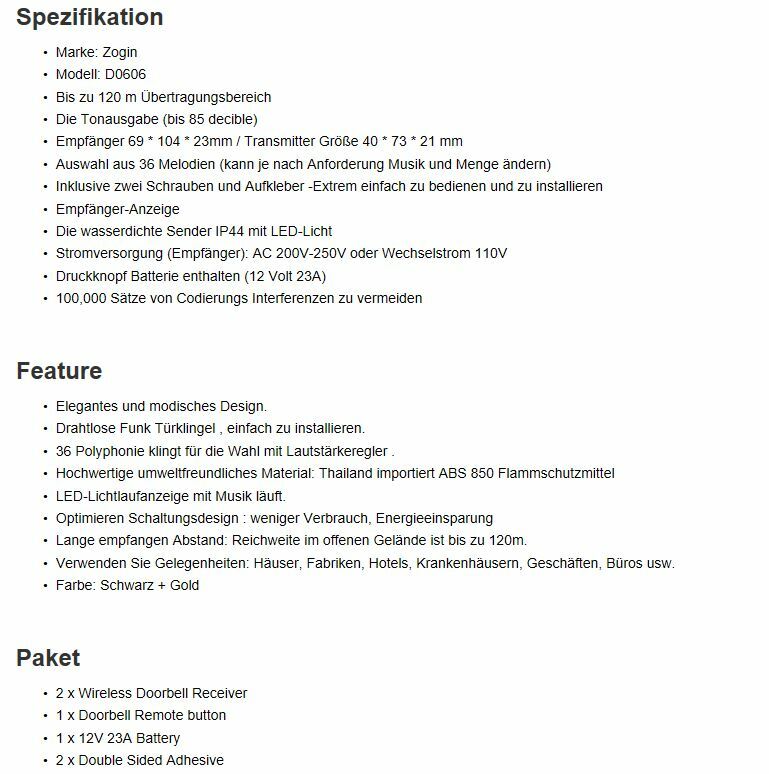 Included are various detail manuals and service guides of the GP series, and other quite popular Motorola radios. Happy to receive any of your manual collections related to test equipment, high frequency electronics, or related fields. Will keep them online free of charge for everyone, and all well backed up. 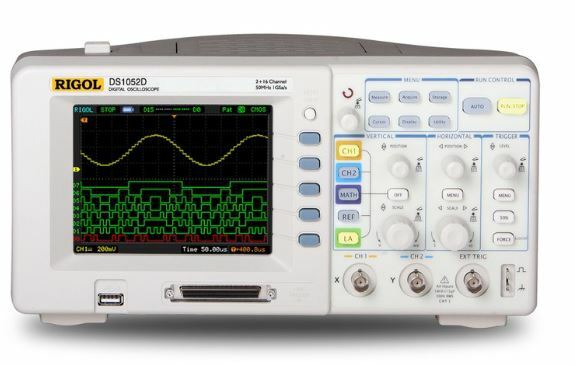 For about 8 years, I have been using a Rigol DS1052D 50 MHz scope (which works up to 100 MHz with a well known software fix), but recently, it has given me some grieve: the knobs turn, but the settings jump, both for scale and time base. This is quite annoying – trying to fix something, with broken tools or scopes, is no fun. Already expecting the worst, like, mechanical failures of the scope of encoders, or some strange software bug (because all encoders were affected at virtually the same time), I decided to open up the scope. Easier said then done. 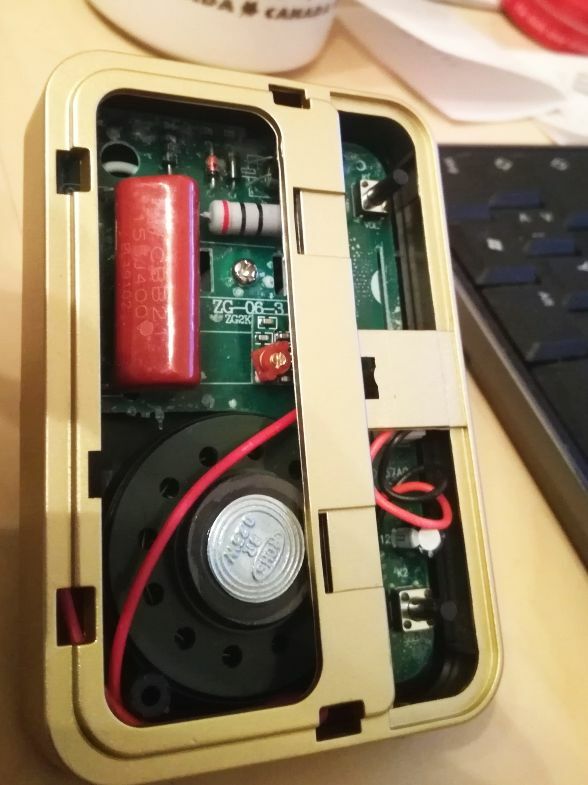 There are 4 screws, two of which are under the handle, and you have to remove the powder on button with some bent wire (don’t scratch the case!). Then, move around the back cover, eventually, it will come off! Don’t give up! Don’t remove the screws of the power input socket! Once inside, you need to take off the two screws for the D9 connector, and then, several more screws to take out the power supply, before you finally get to even further screws holding on the front panel. Before taking any soldering iron to replace the encoders, as suggested by some folks on google, I tried to use the magic DeoxIt D5 to clean up things and to get it going again. Just spray some of the stuff into the encoders, there are some small openings (circled red on in the image). Turn the encoders to make it work. After a while, clean of any excess D5, don’t let it get in touch with the rubber of the DS1052D buttons – most rubber can handle D5, but better not try your luck! And, it worked like magic. Not only are the encoders working again, but also the feel of the knobs is much better, not as sticky as it used to be. It’s never to early to prepare for Xmas, and certainly not too early to bake some cookies anyway. These cookies are a specialty of our family, called “Heidesand”, but it is a modified recipe, and a bit different compared to the Northern German original. The dough will be rather soft after some kneading, but don’t worry! Form to rods of about 1″ diameter, wrap in aluminum foil and let cool/solidify in the fridge overnight. Cover with some egg jog, and roll in sugar to fully cover the outside with crystals. Immediately cut in slices, about 3/8 of an inch thick. Put on non-stick paper with a good distance between the slices. Don’t let the rolls warm up! For best results, only cover one roll with the sugar coating at a time, and cut it into slices, before proceeding with the next roll. 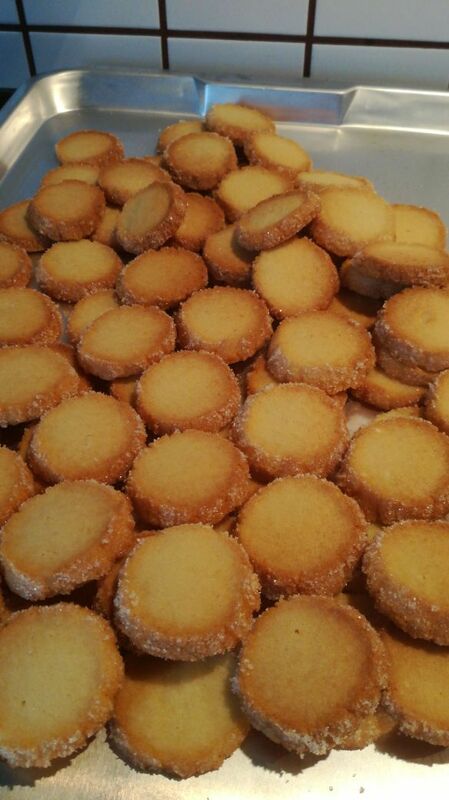 Bake at 175°C, circulating air oven, for about 11 minutes (perimeter of the cookies must be brown, inside only lightly colored). 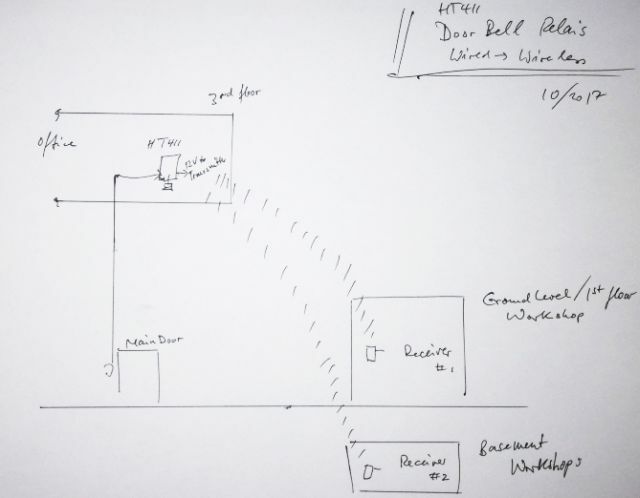 A wireless door bell, activated by a wired door bell! 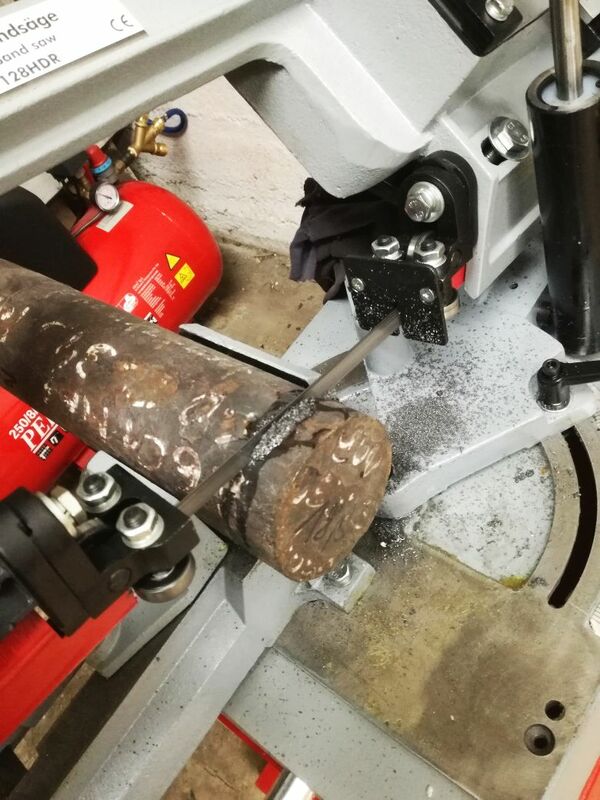 Winter time, is workshop time, spending several hours in the workshop every week, either in the ground floor workshop, or basement rooms – and on several instances, missed the postman! Especially on Saturday, when nobody else is at home, an I am waiting for some spare parts! 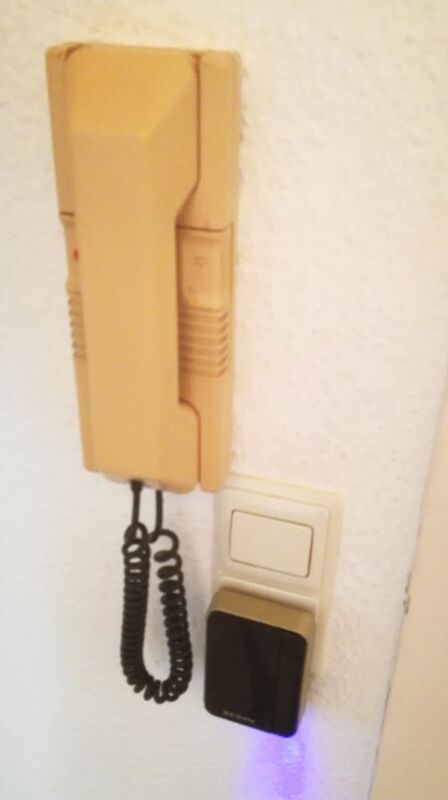 The simple reason, the door bell only rings in the office/apartment on the 3rd floor, but I can’t hear it in any of the workshops. This needs to be solved – but how? Running a wire through several floors is no option. 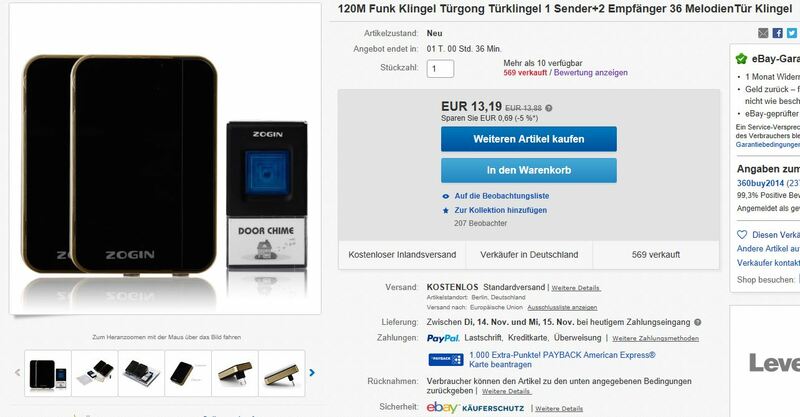 Browsing through online offers, I found some low-cost wireless doorbells (120 meters range!! 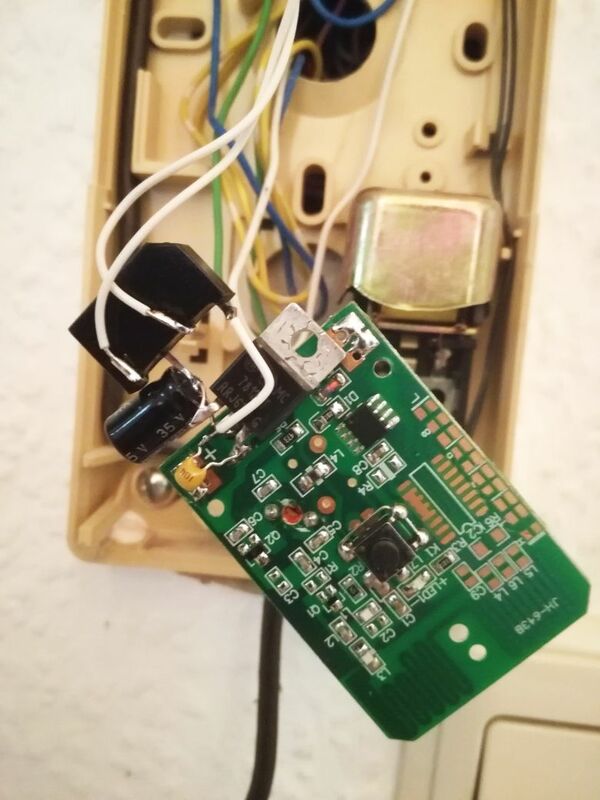 probably, Chinese meters but fair enough) and came up with this scheme – the 3rd floor apartment door bell, which is integrated into a Siedle-brand HT411 door phone will trigger the transmitter of the wireless door bell, which in turn will give its sound in the workshop are. 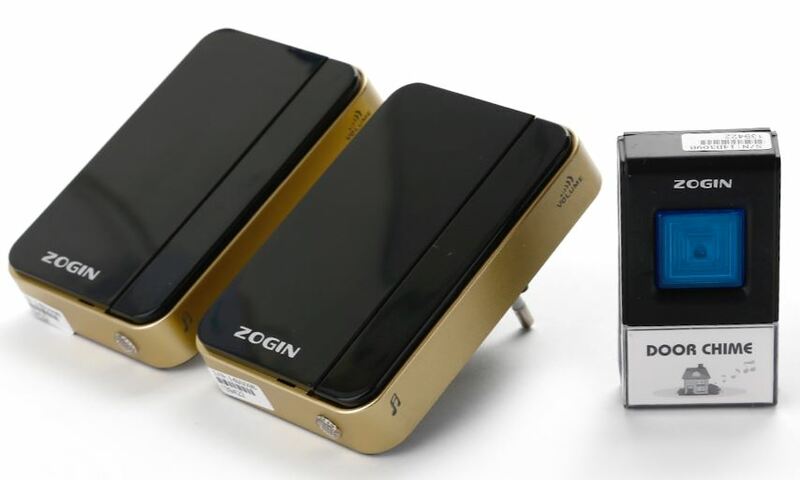 This is the xbay offer – one transmitter, and two receivers. That’s the HT411 with the transmitter mounted. The door bell uses a transformer-less powder supply… let’s hope it will last. 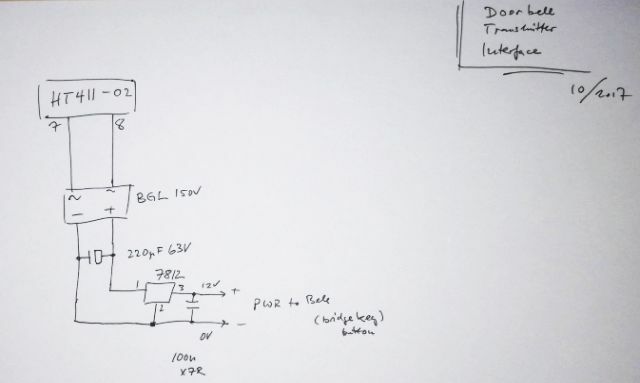 Finally, the simple schematic using the “ring” signal of the HT411, which is 12 VAC to activate the door bell transmitter (with the button shorted, it will activate the received whenever power is applied!). 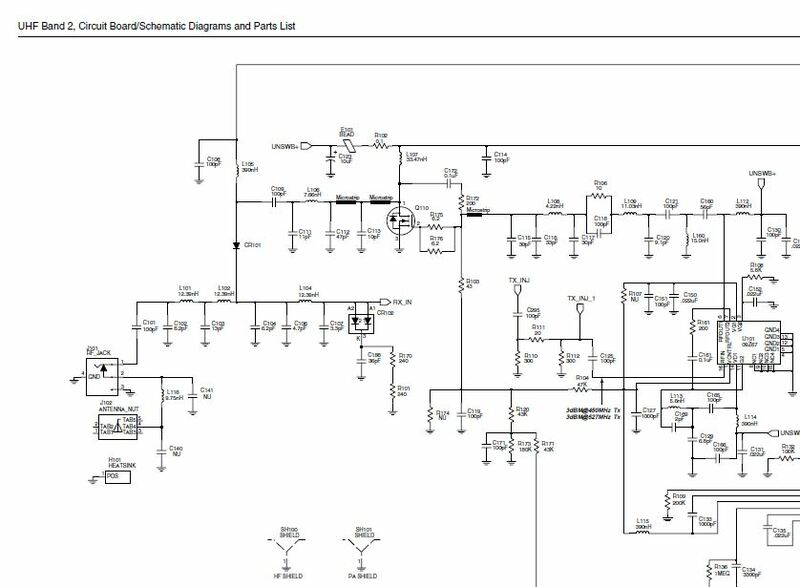 All is working loud and clear now, you push the main door button, then the HT411 will ring in the apartment 3rd floor, this in turn will active the wireless transmitter, and both receivers will sound in the 1st and basement workshop. Easy enough! Holzmann BS 128HDR: “Holz” means wood, but this is a metal band saw! 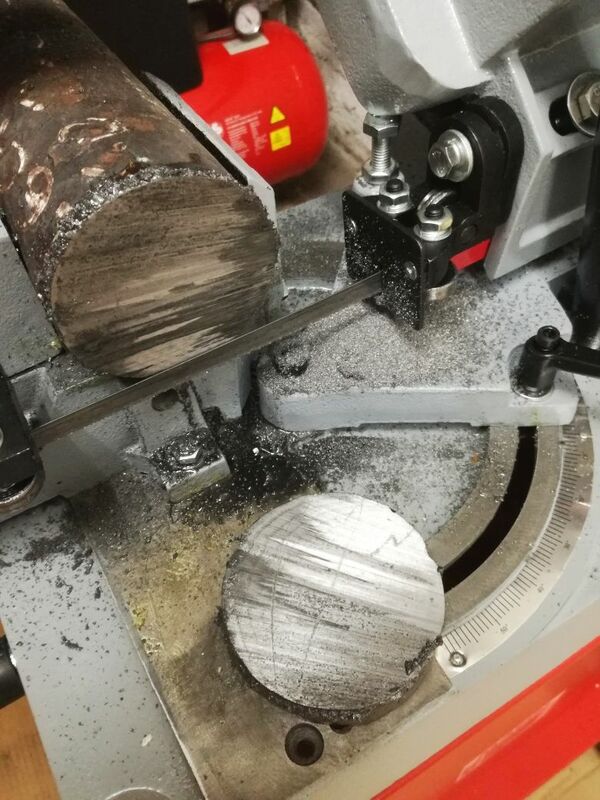 For several years, I have been using hacksaws and similar tools, and other less suitable and dangerous tools to cut-off metal stock for milling and turning. Or, I used some friends’ equipment, which is troublesome and time-consuming – to travel to far-away places just to cut some metal. 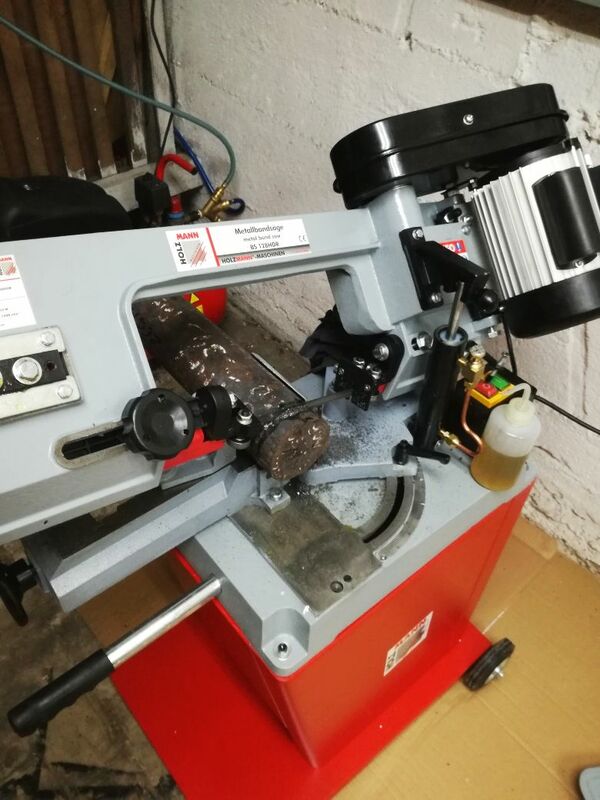 With the space I have in the basement, there is no room to fit a large industrial band saw, and I wanted to get a machine that can also cut at an angle, for some welding and fabrication work. 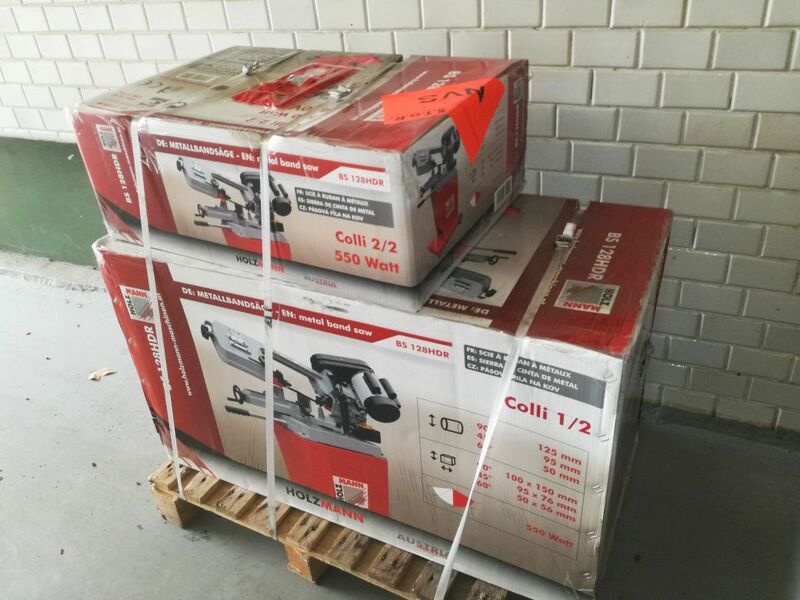 The machine selected, a Holzmann BS 128HDR is one of the common Chinese designs, but these are not all made equal, and the Holzmann looks like a good brand. 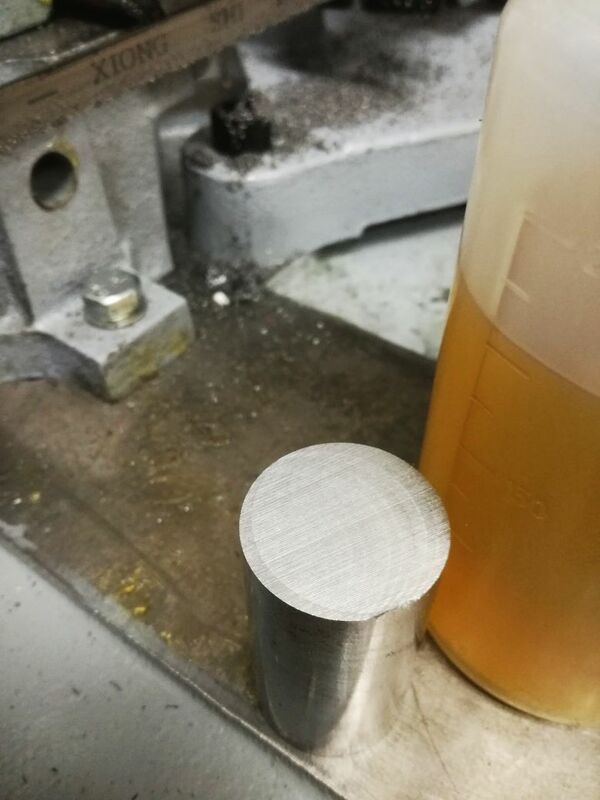 Cutting capability is 125 mm diameter round, 100×150 mm square, which should be good for 99% of the work. All came in two boxes, on a wooden pallet. Some tests with 42CrMo4, and 26CrMo4 rod. It is cutting perfectly fine. 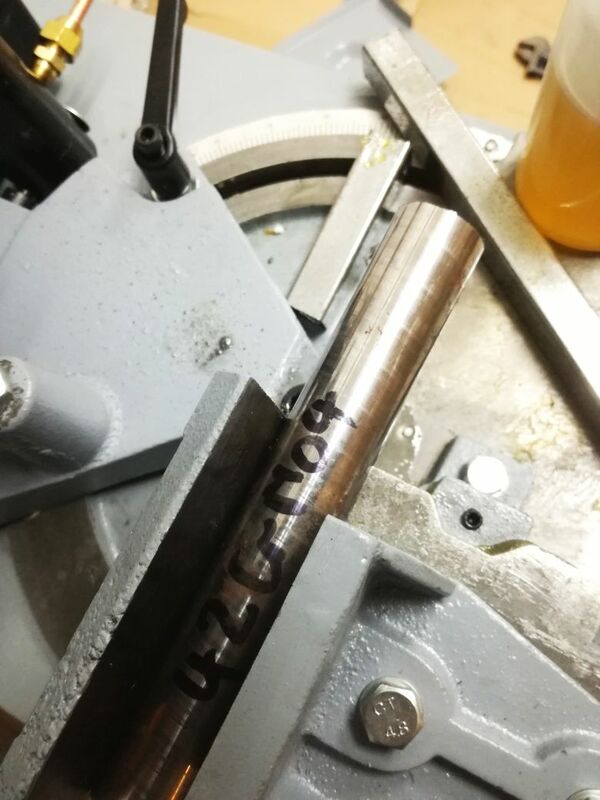 Also checked with some square tubing, which can be challenging for some cheap band saws because of the thin-walled sections, but the 128HDR has a hydraulic break/mechanism, which provides smooth cutting action even for these more difficult materials. For lubrication, you can use any type of ordinary oil, HLP 68 hydraulic oil works well and is cheap, with no smell.